21 st March marks an important day in every anti-racist’s calendar. On that day in 1960, police opened fire and killed 69 Black people at a peaceful demonstration for equality and against apartheid laws in Sharpeville, South Africa. This date has since been declared the International Day for the Elimination of Racial Discrimination when the people across the globe show their opposition to racism and solidarity with those affected by it and in remembrance of the harmful impact of racism on individuals and communities. In 2018 the focus is on promoting tolerance, inclusion, unity and respect for diversity in the context of combating racial discrimination. Additionally, the week of 17-25 March is the European Week Against Racism celebrated in 2018 under the slogan ‘Diversity-never enough’ The week following 21st March marks the UN Week of Solidarity with the People Struggling against Racism and Racial Discrimination. During those weeks thousands of people, not just in Ireland but all across the EU and the globe will come together to promote and celebrate equal rights and diversity. 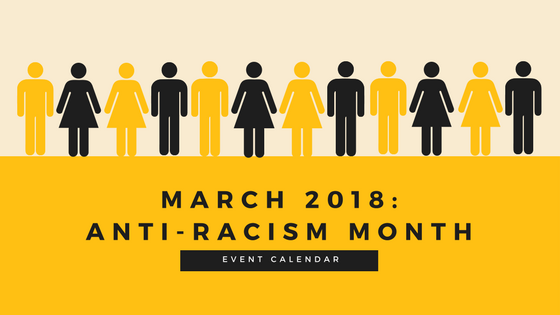 ENAR Ireland and our Network Members will coordinate and celebrate not only these important dates but the entire month full of anti-racism and intercultural events between 1st and 30th of March. Check out what’s happening in your area in the below Events Calendar and join the event near you. Are you affected by the housing crisis and rising rent prices? Threatened with eviction? Struggling with poor housing conditions? Let’s talk to Migrant Rights Centre Ireland about your housing problems, needs and rights! You’re not alone – and together we can make a change. Nasc welcomes you to the launch of our latest report, Immigration Detention and Border Control in Ireland. We are pleased to welcome guest speakers Mark Kelly, Vice President of the European Committee for the Prevention of Torture, and Deirdre Malone, Executive Director of the Irish Penal Reform Trust. This celebration day organised by the National Traveller Ethnicity Celebration Steering Committee draws together essential elements of Travellers’ rich culture and heritage, including music, craft traditions and language and showcases community assets through its creative traditions in photography, genealogy and social history collections of the National Museum of Country Life, the National Folklore Collection UCD and the National Library of Ireland. St Patrick’s Day is an important time of the year for the Justice for the Undocumented (JFU) campaign. As our politicians travel to Washington to highlight the situation of the undocumented Irish over there let’s remind them of the other undocumented Irish here! - On Saturday, a Patrick’s Day collage of images will go out from over 80 carers, chefs, childminders, mothers, fathers, young people, families. Share one or all of JFU members’ posts on Facebook and Twitter. Help them send out a strong message this St Patrick’s Day: that undocumented people matter, wherever they are. The Rathmines Shindig will take place on March 16th. Expect music, song, drama and a good outdoor Céilí session for all the family. Organised by the DIT Conservatory of Music and Drama, Rathmines College, St Louis High School and St Mary’s College, it features performers from these colleges among a range of others. The event is supported by Dublin City Council and various groups working in the community. 6o minute candle vigil to mark St. Patrick’s Day by expressing solidarity with those in our midst who are without a voice. As our government addresses the needs of thousands of Irish in the United States, the organisers are calling on students and citizens to express solidarity with those who live among us in conditions that represent the very antithesis of how we promote Ireland, as a place of welcome. All who share that concern are invited to join us and to bring a candle to represent the love we want all migrants in our community to feel on the eve of our National Day. See 16th March for details. Sligo Intercultural Forum would like to invite you to join them on St Patrick’s Day for an international celebration! There will be international food and music, and children’s entertainment. It’s free, and a great way to celebrate culture as well as St Patrick’s Day! Offaly Traveller Movement invites you to a public talk on homelessness in Offaly with a number of guest speakers including Vincent Brown, Brigid Quilligan, Anastasia Crickley, Pat Doyle, Tom Shanahan and Tony O Riordan. All are welcome to attend. ENAR Ireland invites you to the launch of its Strategic Plan 2018 – 2021. The Strategic Plan will be launched by Anastasia Crickley, the President of UN CERD. ENAR Ireland invites its Network Members, Friends and Supporters and Members of the Public to join our one-day #TogetherAgainstRacism Social Media Action marking the International Day Against Racism. Show your opposition to racism, xenophobia, far-right ideologies and stand in solidarity with those affected by them. Let’s get together and show that racism has no place in Ireland! - Remember to use #TogetherAgainstRacism so we can find your image and retweet/share it. At the end of the action, we will make a photo collage of all images we receive. Join in! Spread the word! 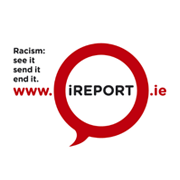 Galway Anti-Racism Network invites you to the launch of their Racist Incident Reporting Card to mark International Day for the Elimination of Racial Discrimination. United Against Racism (UAR) has been marking The International Day for the Elimination of Racial Discrimination over the past number of years by organising public rallies and events. UAR’s main focus is to campaign against racism but we are also opposed to all other forms of oppression and discrimination including sexism, anti-trans discrimination, homophobia, discrimination against the disabled, people with mental health difficulties and religious minorities. They stand in solidarity with groups, movements and campaigns working to oppose all these forms of oppression. In accordance with the above principle, UAR would like to mark this day as a salute to the struggle of women in many areas of life and re-iterate our solidarity with women against many forms of oppression, discrimination and racism. Football for Integration in partnership with Sport Against Racism Ireland. Anti-racist demonstration in Cork City organised by Cork Says No To Racism. The ICCI community welfare office, in collaboration with Dun Laoghaire Rathdown County Council invite you to their annual multicultural day in celebration of International Week Against Racism packed with events for the entire family. As a part of Limerick Lifelong Learning Festival 2018 World Recipe Exchange and Salon Du Chat have teamed up to invite you to a conversation about migration, food heritage and identity. Eight organisations(Akidwa, Cairde, the Immigrant Council of Ireland, the International Organisation for Migration, Forum Polonia, New Communities Partnership, Places of Sanctuary Ireland and Wezesha) have joined forces to bring together 100 local and community leaders from a migrant background to promote participation in politics generally and specifically the Local Elections in 2019. Representatives from across the political spectrum will also attend, providing information on how to get involved and to increase their understanding of the needs of migrant communities. Minister of State for Equality, Immigration and Integration, David Stanton, TD, will provide the opening address. SARI invites you to the Team Syria of Mosney visit to the Glentoran Academy for anti-racism week. AKIDWA’S SHOWCASE EVENT: Women In Social Engagement (WISE) and Young Migrant Women in Political Engagement. guest speakers are facilitators of the program and the Minister of Integration. Show Racism the Red Card is looking for young people to use their creativity to produce a written, visual or audiovisual message on themes arising from the Show Racism the Red Card DVD. Deadline for entries: End of March. The National Youth Council of Ireland’s ‘Making Links’ project, is reaching out to leaders of minority ethnic youth groups. We plan to run seminars to share practice and to run a leadership training programme. This project follows on from our Make Minority a Priority research which recommends new ways for youth organisations to work with young people from minority ethnic backgrounds. We are asking interested youth leaders to complete a short survey.